The Chicago Hockey Initiative is proud to introduce Sam, the most recent recipient of a CHI Microgrant award! Sam is a proud Southsider and attends a CPS elementary school near Midway. Sam wrote in his Microgrant application that he enjoys hockey for the “shooting, skating, and teammates. I have met people that will be friends for the rest of my life!” The CHI was happy to contribute to Sam’s spring league fees so he can continue to spend time with his teammates! Sam’s teacher, Mr. Yracheta wrote, “ Sam is a student who often meets the criteria for student of the month! Sam is a student who often receives high praise for his citizenship.” Sam’s youth coach, Coach Figus, who wrote extensively in support of Sam, said “Sam is always the first to pick up teammates when they are down or make a mistake, or go to his goalie and let him know the team will get it back when a goal is scored against him.” The CHI is very proud of Sam and very proud to support his love of the game! 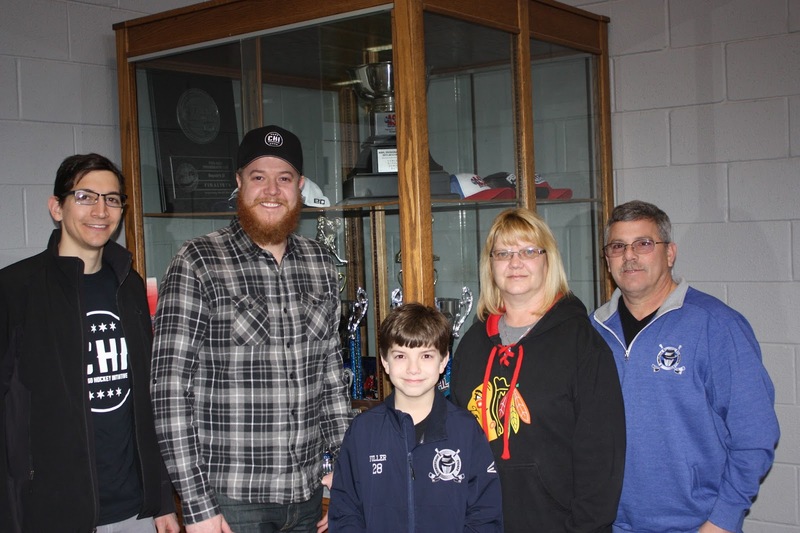 Sam is pictured at center in the top photo, flanked by his parents Kelly and Dennis to the right, and CHI Treasurer Jason and CHI President Patrick (who does look a lot like Scott Darling) to the left. 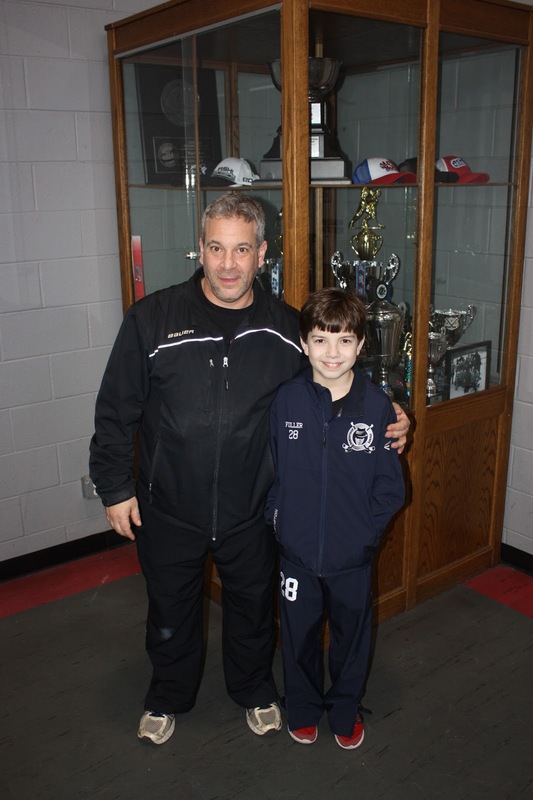 In the second photo, Sam posed with Coach Figus.